Yun Qing Leatherware Co., Ltd is an expert fashion bag supplier that partners with designers, retailers, distributors and importers around the world. Our solo owned factory is located in Huadu Guangzhou, where is 10 minutes to Shiling International Leather Market. Yun Qing designs, develops, manufactures various fashion bags styles, including lady handbags, backpacks, clutch bags, crossbody bags, shoulder bags, wallets. 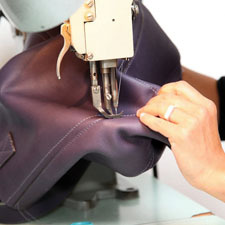 We manufacture our bag orders with genuine leather, PU, canvas, nylon and other customer supplied material. OEM and ODM are our main business. We understand the hot competition in fashion industry, therefore we created sufficient management to catch up the tight schedule. Sales department directly work with sample production department, allied purchasers source hardware and material immediately and experienced merchandisers follow up both the samples and mass production orders. Partner with us, our customer will enjoy best pricing, fast sample development, on time delivery. We promise keep our customer's design and related property confidential and safe. 1. 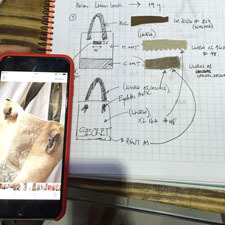 We help customer design, develop, manufacture the fashion bags and put customer's brand info on those bags. 2. Customer provide design, we develop, manufacture under customer's instruction. 3. We help customer source special fabric, hardware, accessories, decorations, etc. Send your designs, instructions, requirements or choose styles from our on-line showroom or contact us for new styles then give your comments. We will check and give you an estimate, which will include the MOQ and unit price. The price is based on the complexity of the design, material, packing method and quantity. Sample usually takes 7-20 days depending on the complexity of the design and material availability. 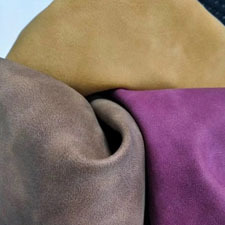 We will provide material swatch for color selection with sample sending. Once you receive the samples, you can either approve the samples or instruct us to make necessary revisions. After you have approved the sample, production will begin. Production lead time varies depending on the complexity and quantity ordered but it usually takes 3-8 weeks. A pre-production meeting will be hold among the QC team and production team. 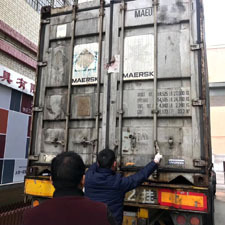 Once start production, our QC will do on-line inspection and inspect the products before packing. Once the products pass the inspection, we wait for your shipping instruction. It is advisable to plan adead to be sure the goods arrives on time. For vessel shipping, the near port is Guangzhou/Shenzhen. For Air shipping, we nearby Baiyun International airport.